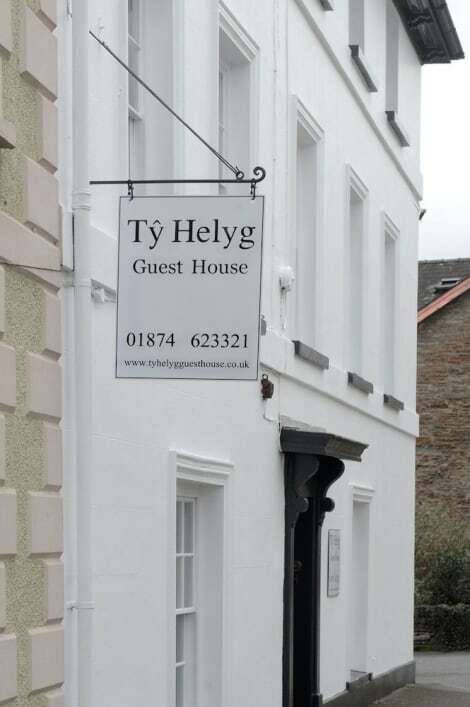 Located in Brecon, Ty Helyg Guest House is within a 5-minute drive of Brecon Cathedral and Brecon Golf Club. This 4-star guesthouse is 6.3 mi (10.1 km) from Pen y Fan and 5.7 mi (9.2 km) from Brecon Beacons National Park Visitor Center. Featuring a garden, Old Castle Farm Guest House is set in Brecon, within 1.4 km of Brecon Cathedral and 17 km of Bronllys Castle. Free WiFi is featured. The bed and breakfast offers a flat-screen TV and a private bathroom with free toiletries, a hair dryer and shower. A Full English/Irish breakfast is served every morning at the property. Guests can also relax in the shared lounge area. 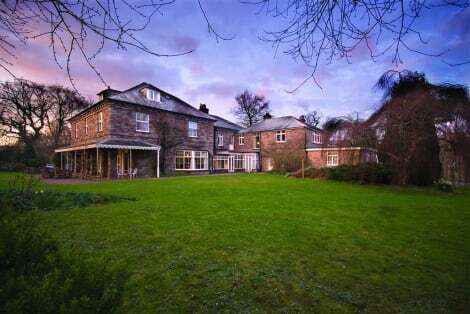 The nearest airport is Cardiff Airport, 84 km from Old Castle Farm Guest House. Brecon or Aberhonddu, to give it its Welsh name, is a historic market town in the heart of the Brecon Beacons National Park in Powys, central Wales. The town has a history stretching back to ancient times, as well as a setting in some of the most breathtaking countryside in the UK. All of this combines to make a visit to a Brecon hotel a truly rewarding experience. Brecon's rich history has included Celtic, Roman and Norman occupation, and all of these great civilisations have left their mark. Take a short walk to the north of the town and see the ancient splendour of Brecon's Iron Age fort, Pen Y Crug. The fort has an embankment over six metres high that is a great spot for a picnic. After admiring Pen Y Crug, make sure you pay lip service to the jewel in Brecon's crown. Brecon Cathedral was founded as a Benedictine monastery by a Norman lord and was the burial ground for Welsh princes in medieval times. Gazing at its fabulous cresset stone, the largest in Britain, and wandering its peaceful grounds, you will understand why Welsh royalty chose this as their final resting place. History buffs will be in heaven by now, and just round the corner from Pen Y Crug is a large Roman fort called Brecon Y Gaer. But the ancient intrigue does not end there for on your walk back into town you can stop at the Castle Hotel for a refreshing tipple and, while you're sipping your chardonnay, take a look at the remains of the 11th-century castle in the hotel's gardens. A Brecon hotel is, of course, an excellent base from which to explore the achingly beautiful Brecon Beacons National Park. If you're a keen rambler or climber, the hills immediately around the town are some of the finest in the whole area. Seasoned walkers will love to climb Penyfan which, at 886m is the highest point in southern Britain. If your gaze reaches further afield, the Taff Trail, a 55-mile walking and cycle trail starts in Brecon. The trail runs all the way to Cardiff and takes in some of the most diverse scenery you will see on a route of this kind. The 55 miles includes urban and suburban land, moorland and viaducts allowing you to witness the entire fabric of this great country. If you are visiting Brecon in August, make sure you take in the world-famous Brecon Jazz Festival. During the festival the whole town comes to life and the main stage has seen some huge names in its time including; Sonny Rollins, Van Morrison and Amy Winehouse. Another delightful Brecon tradition happens more regularly than the jazz festival. Outside the Market Hall, on the second Saturday of every month, is the buzzing Brecon Farmer's Market. Stalls selling the freshest fruit and vegeSEOSITE_LEVEL_DESCRIPTIONs, as well as sumptuous local cheese, will ensure you take a tasty souvenir away from your trip.